Way before Mr Lee Kuan Yew stepped aside as Singapore’s first Prime Minister in 1990, the world knew who would take over. And as Mr Goh Chok Tong warmed the seat, everybody knew that he was keeping it nice and sweet for his deputy and Mr Lee’s son, Mr Lee Hsien Loong. These were perfectly-scripted handovers of power, something that must have been envied by administrations the world over. Today, nine years after Lee Junior became the country’s third PM, a major unpredictablity has crept into the smooth and sanitised succession process that has been part of the Singapore government’s bragging rights. For the first time in Singapore’s post-independent history, there is no clear clue as to who will become the country’s fourth PM. With another seven years left for a new leader to take over — PM Lee has set a target of 2020 to step aside — the succession issue will get more vexing. The bumps on the road to a predictable succession are many, some are self-made, some reflect the changing political times. There is an archaic obsession among the elite that the person taking over must be in his late 40s or early 50s. Mr Goh became PM at the age of 49 and the present PM took over at 52. If the political bigwigs are still stuck in this mindset, then even the three front runners — Education Minister Heng Swee Keat, Acting Minister for Social and Family Development Chan Chun Sing and Acting Manpower Minister Tan Chuan Jin — are unlikely to hit winning post.. Mr Heng is 53, the other two are 42. They have had a fast track into politics and into the Cabinet. Leading the pack is Mr Heng. 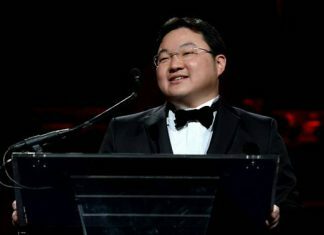 He has an impressive track record: he started his career in the police force as a front-line officer, spent three years as Mr Lee Kuan Yew’s principal private secretary, moved up to become the permanent secretary of the Ministry of Trade and Industry and went on to become Managing Director of the Monetary Authority of Singapore. As Education Minister, he is already making a name for himself by pushing through subjects like character-building and values-immersion in a school curriculum fixated with excellence in examinations. But, and this is a big but in Singapore politics, he might be considered too old to be groomed for the top job. He has already breached the 50-year age barrier. Next in the pecking order are two top army men: Mr Chan and Mr Tan. The military men, together with Mr Heng, were introduced into politics in the last elections in May 2011 and, more or else immediately after, thrust into Cabinet positions. Of the two, Mr Tan seems to have a little edge so far. His Manpower Ministry is a hot political potato as Singapore tries to shift away from a free-wheeling immigration policy that became the single biggest and sharpest lightning rod at the elections. The flip side of the immigration debate is a big push to improve this modern economy’s low productivity, which again comes under Mr Tan’s ministry. He has had to deal with a crisis when some SMRT bus drivers went on strike last year. Although found to be shaky initially, Mr Tan managed to tackle the repercussions of the country’s first strike in 26 years with a firm and fair hand. Firm in taking the strikers to court and fair in blaming SMRT for not being nimble enough to detect the drivers’ grievances and avoiding the industrial action, a sharp blow to Singapore’s proud record for labour peace and harmony. What is more tangible is his ministry’s efforts to go after employers who treated their foreign workers in a way which brings shame to a First World country. Just this week, on Tuesday, 20 officers inspected dormitories after a tip-off. The accommodation was in a bad state. “This is clearly wrong…and the ministry has given the employers notice to move the workers to proper housing,” it said in its blog. It also threw the book at 1,062 bosses last year and this year alone it has hauled up 428. Employers who put their foreign charges through Third World conditions has been a sore point with many Singaporeans. Nothing much was done until recently, a situation the government wants to change. But Mr Tan and Mr Chan do not seem to have time on their hands to prove themselves in the next seven years, when PM No 3 is likely to step aside. In contrast, Mr Goh had 14 years and Mr Lee 20 years, although many would say that if not for being stricken by cancer, the latter would have made it to the top much earlier. If PM Lee sticks to the script of giving the young blood the normal gestation period to show their mettle, then it is possible that one of the two present deputy prime ministers will be asked to manage the ship for a few years until one of the young stars are ready. That is, have an interim PM. If that decision was left to Singaporeans, then Mr Tharman Shanmugaratnam will be the man. He has the right mix of empathy, intellect and international standing (he is the only Singapore minister who chairs as high-powered a committee as IMF’s policy steering group) that voters now demand of their leaders. The obstacle is that he is from a minority community in an overwhelmingly Chinese society. Even as recently as five years ago, in an effort to blunt the Obama wave hitting Singapore, PM Lee said publicly that the country is not ready for a non-Chinese. There are also other possibilities. Some observers are beginning to look at a dark horse: Foreign and Law Minister K. Shanmugam. The man who was catapulted into the Cabinet after remaining in the sidelines as MP for 20 years seems to be putting his finger in many pies. From animal rights to gay issues to blowing the whistle on stall holders selling beef as mutton to having a heavy media presence, Mr Shanmugam is becoming a new player in a country where politicians are known to keep strictly to their portfolios. His charm is also being displayed at private functions. A source who attended a recent charity dinner was touched to see him moving from table to table, shaking hands and displaying a perpetual smile. “I have never seen such a display of warmth by a Singapore politician in recent times,” she said. There is also a wild card that cannot be discounted. A potential long-term leader might emerge in the next election — that must be held by 2016 — and fast-tracked into the Cabinet and into the No 1 position. Who said Singapore is a dull place for political watchers? Look beneath the surface and you will see signs of impending changes emerging.every now and then. Political unpredictability is the big running story here.